Emil Wendel teaches the physical, respiratory and mental processes of basic pranayama techniques, as well as the theoretical background to the different traditions of the Indian breathing techniques. Pranayama is a subtle practice that has tremendous effects on the nervous system and the mind. Each student will be assisted and guided in the practice to understand the nature of the inhale/exhale/retention to find his or her own level of intensity and depth of breath. Different meditation techniques in the Buddhist and Hindu traditions are taught – Shamatha, Vipassana, Tibetan Loving Kindness and Tonglen meditations, Advaita Vedanta (Self-Inquiry) and Yoga Nidra. You will learn to withdraw the senses (Pratyâhâra) and focus the mind (Dhâranâ) in the Asana and Pranayama practices so that when you sit for meditation it becomes a direct experience. Heather Elton and Emil Wendel are the teachers. 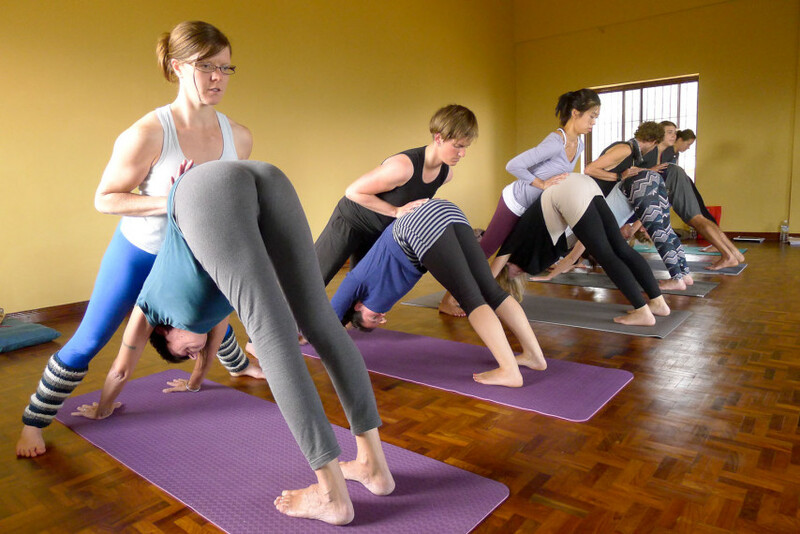 Various teaching methodologies are explored in the afternoon Yoga Clinics. These workshops investigate all aspects of asana including anatomy and alignment techniques, hands-on safe and appropriate adjustments, assisting/correcting, sequencing Vinyasa Flow, as well as learning how to demonstrate asana and enhance your observation skills and teaching skills. Students will practice adjusting each other and will have a chance to assist in the morning asana class. We will also examine the full range of asanas (standing poses, forward bends, twists, backbends, inversions, balances and Savasana) as well as different yoga styles (Vinyasa Krama, BKS Iyengar, Jivamukti, Tripsichore) with the aim of learning how to sequence Vinyasa Flow. As a professional yoga teacher you will need basic skills to run a successful business. Promotional skills and the business aspects of teaching classes, private clients, workshops and yoga retreats. will be discussed. Please bring a camera to take advantage of the stunning setting to generate images for your website. You will study Anatomy & Physiology on ‘actual’ bodies; the Biomechanics of Movement concepts on your own body and adjust your practice accordingly to move through strain and prevent injury; develop observation skills to see what is going on in other bodies so you know the appropriate adjustment required; understand why one student may have more difficulty/ease in an asana than someone else; recognize how imbalances in alignment (and attitude) can lead to injury, and learn how to shift that energy to get people out of pain; and get hands-on experience with adjustments. Topics covered include both the physical body systems (musculoskeletal, nervous, respiratory, cardiovascular) and the ‘subtle energy’ yogic body (chakras, nadis, prana, and bandhas). Chakra meditations and esoteric techniques will direct your attention inward to experience the pranic body in a practical way, so these metaphysical places can be applied to your daily practice. Hindu, Buddhist and contemporary yogic philosophy are taught in a way that lifts them ‘off the page’, and ‘off the mat,’ so you can integrate them into your teaching and personal practice. Emil Wendel shakes off the dusty manuscripts and brings them to life in an intelligent, entertaining and provocative examination of the origins of Yoga, as seen through the Indian spiritual traditions of Samkhya and Vedanta philosophies, the birth of the renunciate and ascetic traditions of Yoga (Jains, Buddhists and Hatha Yogis), as well as Upanishadic thought and Patanjali’s Yoga Sutras. Heather Elton teaches the Yoga off the Mat section that looks at the practical aspects of yogic philosophy from a psychological point of view to understand the true nature of Self, cut through the illusion of the ego, develop awareness to be at ease in the present moment, and integrate the yoga philosophy into the practice, the teaching and your life. 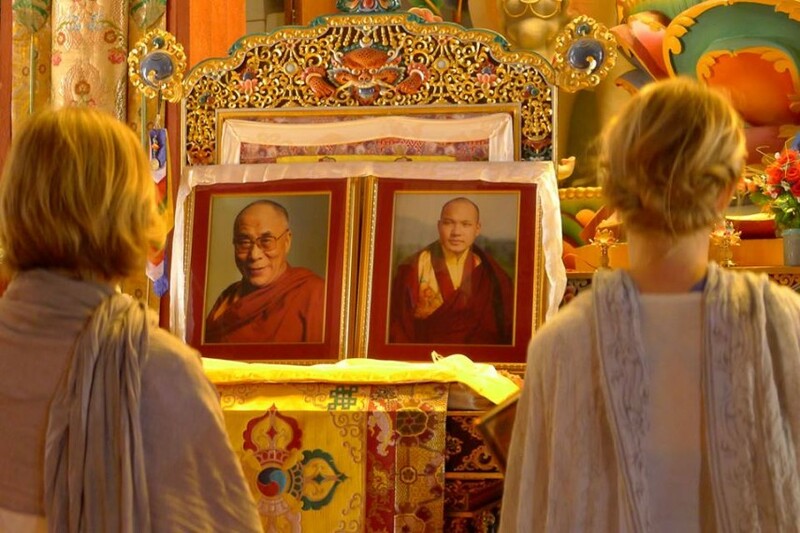 The philosophy is relevant to both the physical experience and the spiritual practice. It is not an academic lesson, but a yogic inquiry relevant to real life. It is important that you learn how to teach yoga. 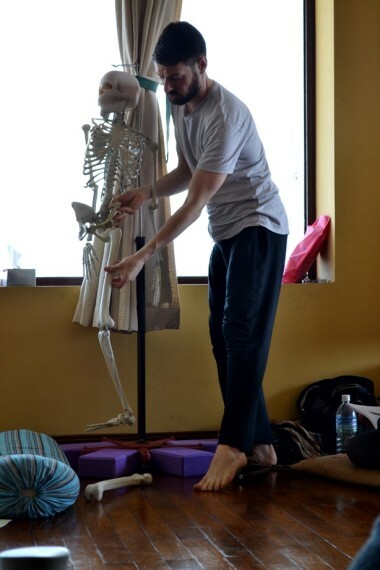 Once you have acquired some experience with asana technique, assisting/adjusting and sequencing Vinyasa, we will focus on Practical Teaching skills where you will present this knowledge to your colleagues. 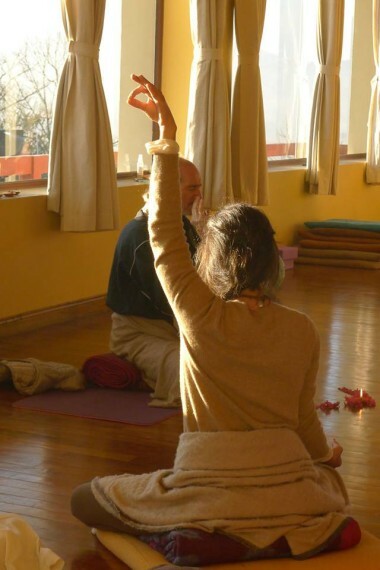 You will be asked to demonstrate asana technique and appropriate adjustments, as well as teach a short class of a thematic nature to hone your teaching skills. You’ll work in groups and on your own to create Vinyasa Flow sequences and learn to structure and teach a yoga class. You will be assessed by your colleagues and teachers, on your ability to give clear instructions, demonstrate your understanding of breath technique and synchronisation of movement in a well-structured vinyasa sequence, and your ability to integrate the philosophy into the yoga teaching. We will learn to give and receive feedback with compassion and humour.